Here’s one more brief review of a current comic in which music is represented. The rest: It is a sick joke that DC cancelled Hellblazer just in time for its 30th anniversary special. But the writing had been on the wall for some time. 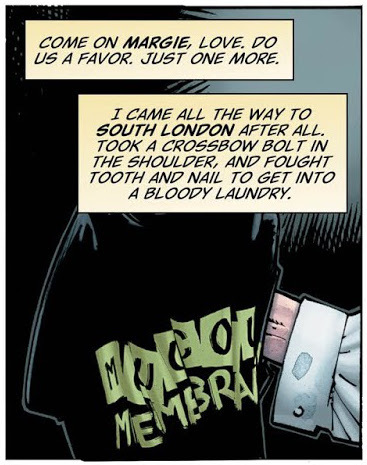 While Tim Seeley (and his predecessor, Simon Oliver) nailed the dialogue more often than not, DC assigned a string of artists to this book who were mediocre at first and then gradually became worse. 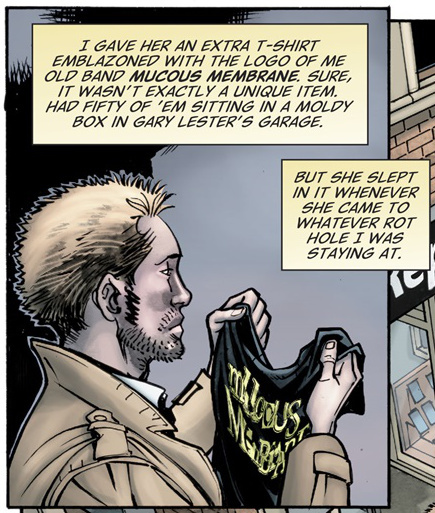 Which makes me wonder why they bothered to “rebirth” Hellblazer in the first place.